The IRON MAN Electronic Helmet is a part of adaptable Iron Man armor which was created to crush crime and obliterate injustice. 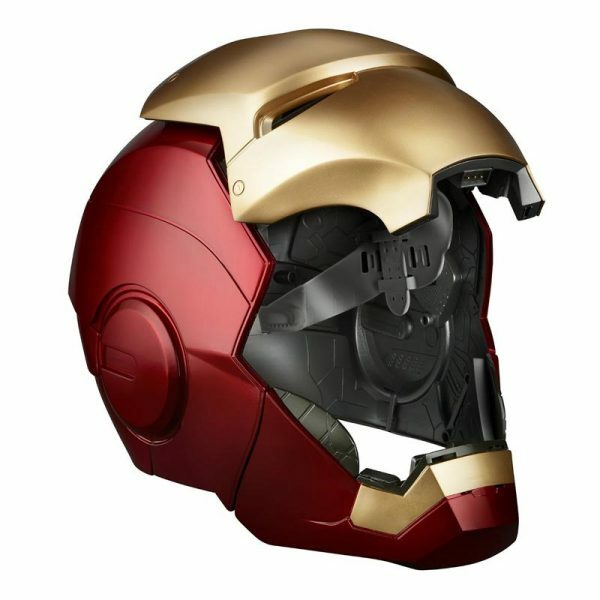 The Iron Man Electronic Helmet is a tribute to the state of the art technology developed by Stark Industries. Illuminated eyes, impressive sound fx, and touch control open/close plate are Premium Role Play quality. The detailed interior mimics serious circuitry. The finish creates an illusion of advanced alloy construction. 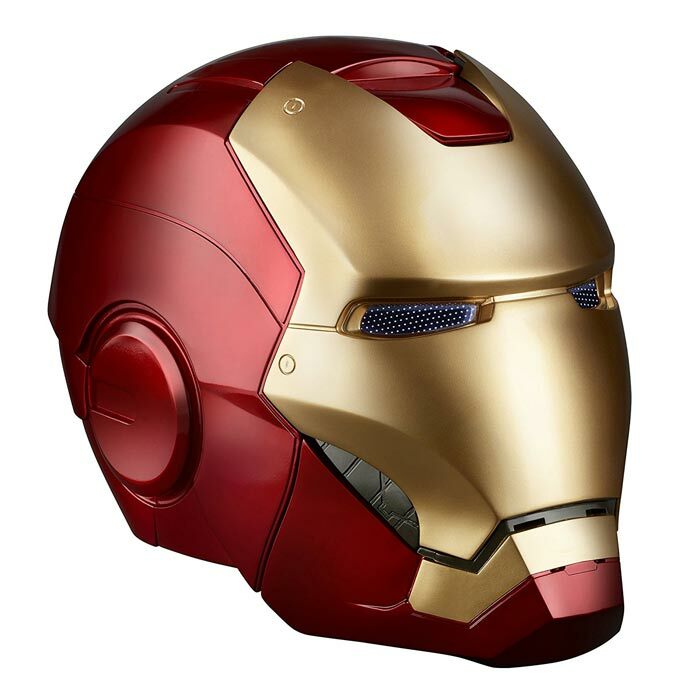 The Iron Man Electronic Helmet is an awesome addition to any cool collection. The Iron Man Electronic Helmet is a perfect for both serious collectors – who are looking for the ultimate conversation piece – and enthusiastic cosplayers – who are trying to impress friends at the comic convention with a movie-inspired Iron Man helmet. 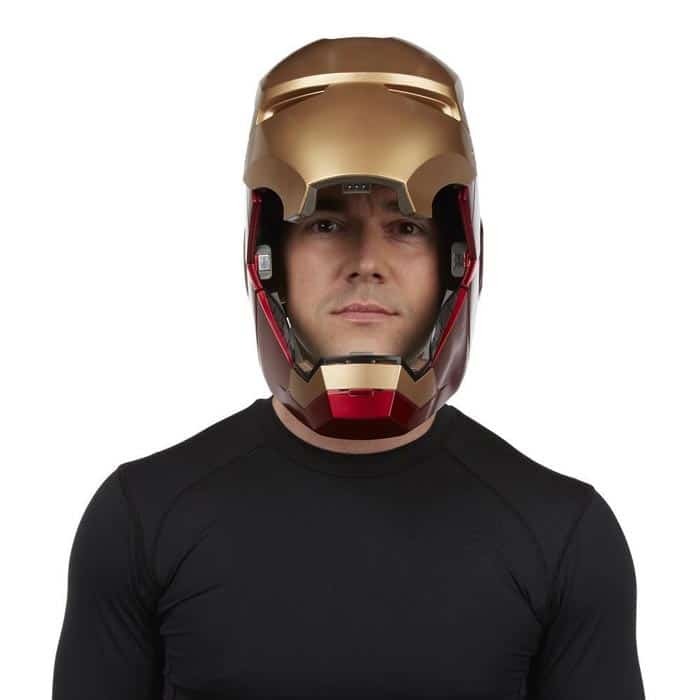 The Iron Man Electronic Helmet can conjure the feeling of suiting up as Iron Man. *Stay at Sensing Area Slowly,Control Eyes LED Lights On/Off When Helmet Closed. Button A – Starting Up Indicator Light Keeps On, Press A to Match With Receiver Password, Pass word Matching Successful, Able to Operate,Password Matching Failed, Restart Remote Control & Helmet Switch, Re-Match the Password.Button A Control Eyes Led Light On/Off.